What is the Best Power Lift Recliner Chair? Learn The Advantages of Zero Gravity Lift Chairs (Recliners), What to Consider When Buying a Medical Lift Chair, and Safe Sit to Stand Transfer Techniques. 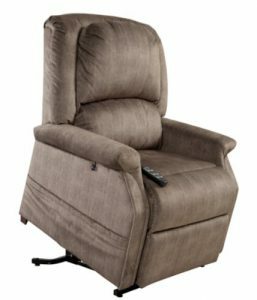 Medical lift recliners are becoming more and more common as well as popular in the home, nursing home, and assistive living setting. Medical lift chairs are marketed to make standing up easier and safer. ♦ 2-position – has only one motor that simultaneously adjusts the head and footrest (when the head goes down for reclining the footrest simultaneously goes up). The headrest or back of the chair only reclines slightly to approximately 15º. Therefore, when the footrest is up, the head is still elevated–this position is similar to the position of a reclined seat in a car or at a movie theater–you are technically reclined but your head is still elevated. ♦ 3-position – has one motor as well BUT the headrest or back of the chair reclines up to 45º. The head is still slightly elevated but not as high compared to the 2-position lift chair. ♦ Infinity/Zero Gravity – has 2, independently operating motors. One motor operates the head/back of the chair, and the other motor operates the footrests. Infinity chairs are the only medical lift chairs that offer the Trendelenburg and zero-gravity positions. 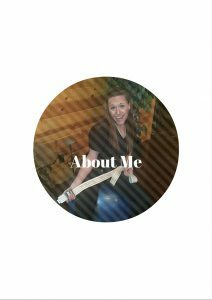 As a Physical Therapist, I focus and treat patients with the goal of improving overall strength, balance, endurance, and coordination for optimal safety and independence. When I evaluate/treat a patient with a medical lift chair, I determine if he/she has the potential for standing without elevating the height of the recliner. Some patients ultimately and conclusively MUST use the elevation feature of a medical lift chair to transfer due to rigidity/contractures (pronounced stiffness of several joints making the joints not move). 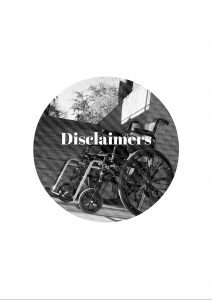 However, there is a hidden complication most consumers do not know about or even consider when deciding on a medical lift chair/recliner. For Every Action, There is a Reaction…. Our bodies respond to the forces (resistance, gravity, nutrition, sleep) we put our bodies through. For example, with increased resistance our bodies respond by building muscle mass and strength. Through sitting around, staying in bed, or inactivity, our bodies become intolerant to activity, weak and fatigued. In the same manner, if you constantly rely on the electricity of a medical lift chair to raise yourself up against gravity and stand, your legs become DEPENDENT on the electrical lift, weak, and eventually standing up from the toilet, wheelchair, surface of the bed, seat of a car–surfaces that DO NOT have electrical lifting options–becomes difficult and/or impossible. As a Home Health Physical Therapist, I have 3 basic philosophies: 1) You are only going to get good at what you want or need to do SO you SHOULD practice what you want or need to do better, 2) Do not waste precious time on SILLY-LITTLE-EXERCISES (this is a major pet peeve of mine! ), and 3) the resistance created by the weight of your body moving against the force of gravity, is the most important strength-building program in the home setting. With these 3 principles in mind, let’s revisit the HIDDEN PROBLEM of the medical lift chair and relate it to my 3 basic concepts. Like I stated previously, practice what you want and/or need to get better at doing. If standing up from a low chair or chair without armrests is difficult because of leg muscle weakness, then you would benefit from sit-to-stand exercises. For instance, practice standing up using both hands to push yourself up AGAINST GRAVITY, then stand up using only one hand, and finally end up standing up only using your legs–LOOK MOM NO HANDS!!!! In the case of the medical lift chair, I start my patients standing up from the recliner at the highest level of elevation he/she can safely and successfully can stand up using both his/her hands on the armrest, gradually decrease the degree of elevation until he/she can stand up from the recliner without relying on the medical lift mechanism, and end with standing up either using one hand on the armrest or no-hands on the armrest. I have discovered, if my patients can stand up using only his/her legs (no hands), then he/she can stand up from the toilet, the seat of a car, the wheelchair, and the shower chair with decreased effort, loss of balance, and possible falls! I can confidently surmise 95% of my patients do not have a problem keeping his/her balance, moving his/her arms and legs, or falling when he/she is SITTING DOWN. On the contrary, 95% to 100% of my patients have a problem with his/her balance, moving his/her arms/legs and/or falling when he/she is STANDING UP. Therefore, as a home-based physical therapist, I do not waste precious time doing sitting exercises or activities if my patients do not need to get any better sitting down moving his/her arms and legs. Instead of sitting exercises, he/she needs to practice standing up from different surfaces as well as safely walking, pushing, pulling, lifting and carrying activities because those activities are what my patients want and/need to get better at doing in the home under the supervision of a SKILLED Physical Therapist. I DO NOT EVER, and NEVER will have my patients pedal a bike on the floor, do exercises in sitting with a theraband (usually a red, green, or yellow rubber band), or sit down while he/she moves his/her arms and legs with weights. Why? In my experience as a PT in the home, I have NEVER witnessed my patients stand up from different surfaces, walk safer/easier/farther, get up from the floor, or improve his/her standing balance as a result of SITTING DOWN and pedaling a bike for 20 minutes and/or SITTING DOWN and moving his/her arms against the ARTIFICIAL resistance of therabands/weights (in my opinion, these are SILLY-LITTLE-EXERCISES with no functional benefit). Instead of these exercises, I use FUNCTION-FOCUSED exercises to improve the strength, standing balance and walking of my patients. Ultimately, I have nothing against medical lift chairs, BUT it is very important to remember for every action (becoming 100% DEPENDENT on the lift chair for standing up), there is a reaction (increased difficulty standing up from other surfaces). If I were to recommend a medical lift chair, it would be the infinity/zero gravity because it is the only medical lift chair capable of achieving the Trendelenburg position which effectively elevates the lower extremities ABOVE the level of the heart for gravity-assisted lower extremity swelling management. All medical lift chairs recline, but only the zero-gravity/infinity lift chair offers the Trendelenburg position for improved swelling management. In addition, zero-gravity/infinity chairs offer a wider variety of positions resulting in improved pressure relief options. A large portion of my patients prefers to sleep and spend more than 75% of their day sitting in their recliner for meals, watching television, etc… Frequent position changes reduce pressure on the tailbone (coccyx), shoulder blades, and heels resulting in decreased risk of developing pressure sores (bed sores). I recommend treated-cloth upholstery over leather for easy cleanup, and decreased sweating, and skin breakdown associated with “sticking to the sitting surface.” Unfortunately, urinary incontinence is very common as well as dropping food and drinks. Having a surface such as scotch-guarded/treated upholstery makes clean up and disinfecting much easier. I believe in versatility and getting as much bang for my buck; therefore, I recommend the medical lift chair that provides the most versatility/functionality without sacrificing comfort, quality of life, or level of independence. I provided several options with prices from Amazon. NOTE: for approximately the same price, you can purchase a more versatile medical lift chair–more bang for your buck! 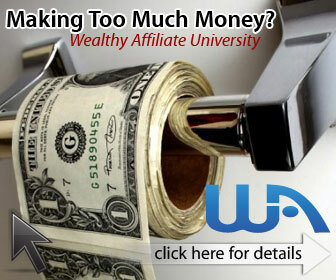 ♥ For the purpose of full disclosure, I want you to know I am an affiliate partner with Amazon. However, I wanted to provide the below illustrations for you to compare products and prices for each type of recliner. Regardless of where you purchase a medical lift chair, be sure to purchase a chair that meets ALL of your loved one’s needs! 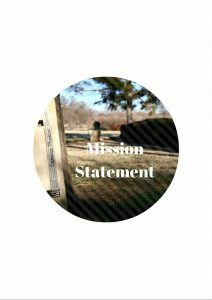 When I provide images of related products, I am simply showing you some of the options available to address a particular situation. However, if you have friend/relative give you medical equipment and you have a question about how to use, adjust, or set up the equipment, leave me a comment because I guarantee you are neither the first nor the last person to take on the responsibility of caring for someone that needs/would benefit from medical equipment but you’re just not sure what to get, how to set it up, or how to use it. I encourage you to browse, locate and ask questions before purchasing any medical equipment for the sake of you and your loved one’s safety and sanity. Summary…Go for Versatility…Focus on Function…Practice to Be Better! I am here to provide my opinion, tips, and tricks to help make caregiving easier and safer. Here’s a video showing some tips and techniques for easier sit to stand transfers. Please feel free to contact me, leave a comment or provide a suggestion. I look forward to connecting with you soon. Hi Shawna. This is an interesting post regarding the medical lift chair recliner. I, for one, have probably seen this in patients’ homes as I used to deliver items such as folding commode toilets and oxygen tanks for patients that have difficulty breathing. As far as I know about my knowledge of this lift chair recliners are very minimal. What I do know is that it aids patients who have difficulties trying to walk from one point in a home to another. And, these lift chair recliners would help make that happen without the use of another person helping them move all the time. I agree that one can become very dependent on these chairs. I’m just hoping that if I ended up using one of these that I’ll use them sparingly. Hi Armand, It is a very tricky situation. When you think about the muscles in the legs that you use to stand up, you are thinking of the same muscles that are responsible for walking and not falling once you step away from the lift recliner. The solution is exactly what you said, “use them sparingly.” Most of us have heard the saying, “do everything in moderation.” Using medical lift chair sparingly is the key to doing what you mentioned–still being able to safely walk in your home without the CONSTANT need of another person. Thank you for your comment. You hit the nail on the head! One of my relatives is beginning to have difficulty getting up of the chair, Your review is helping me to weight the advantages and disadvantages of using a lift chair when the times come. Thank you for the information. You are most welcome and I hope it helps. If you have any questions, please contact me. It would be my pleasure to assist in any way I can. Habitus is a potential poor fit? Recommendations? Even if she receives a zero-gravity, try to encourage her to exercise her legs by doing sit to stands with the chair at different height levels (highest level of elevation=easiest to stand from; lowest level to no elevation=hardest to stand from). In addition, she can challenge herself more by doing her sit to stands using only one hand. I hope this helps. Let me know if you need more suggestions. It’s awesome that this article talked about the capabilities of a lift recliners with 3 positions. It convinced me to get the 3 position type upon learning that it reclines up to 45 degrees. I am planning to buy one for my father, and I am grateful to be able to come to a decision because of your explanation. Thanks! My pleasure. If you need any other additional information, I would be happy to assist.